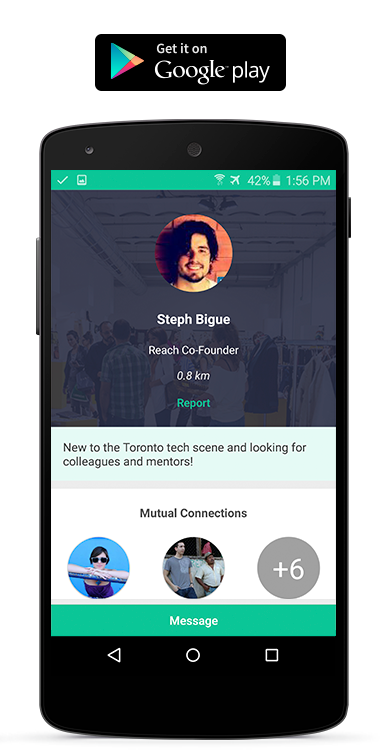 The Reach App | Connect better, locally. 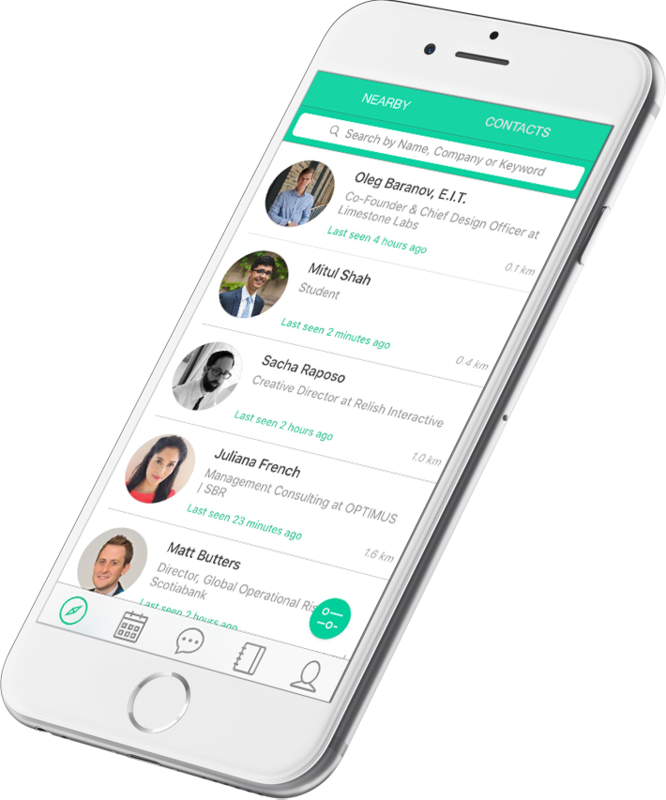 Reach, a mobile App developed by Big Rock Labs and Elinext, is a simple and safe way to connect with your local business world. Find and make real connections with professionals in your area. 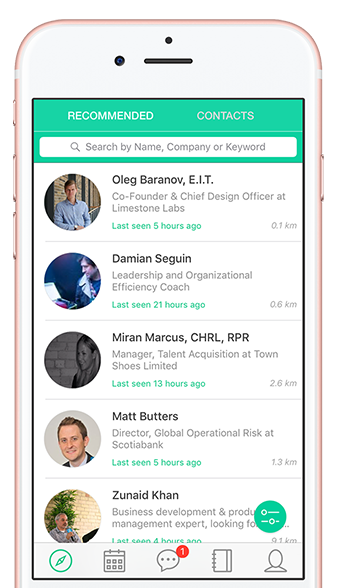 Reach makes personalized recommendations of nearby professionals that can help develop your career or business. Discover a vibrant community of talent and experience. 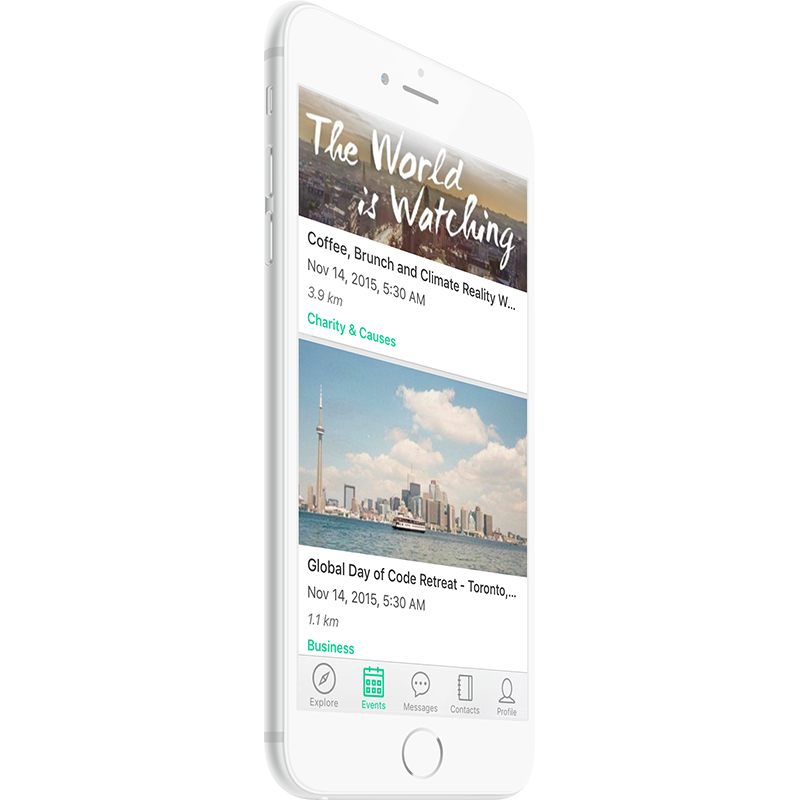 Discover the top trending events nearby and register for them right from the app. There’s no faster way to find like-minded people than by getting out there (and enjoying it). Ever wish you could know who was in the room? 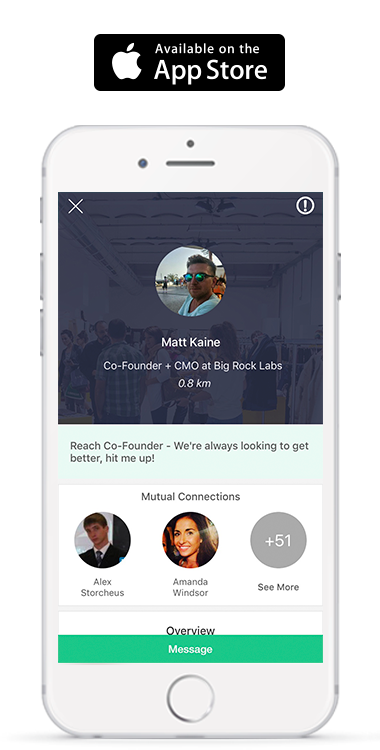 Reach lets you browse local professionals by their proximity to you. 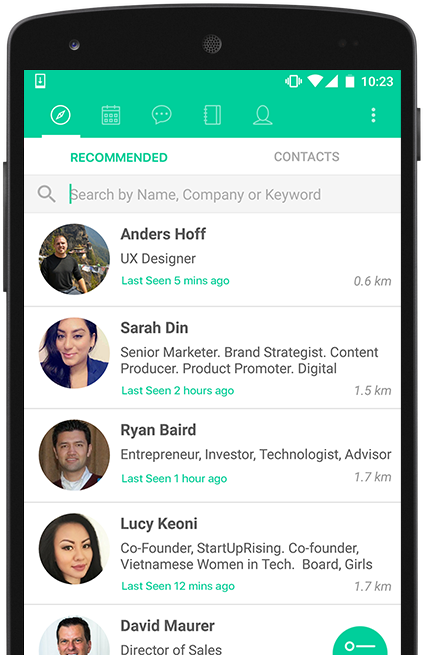 Powerful search also helps you zero in on whomever you’re looking for.